Concrete plant, 2nd Street Berkeley, CA. On a hot day, I found a place out of the wind and with a different view of the concrete plant. After struggling with the composition, I decided to forget about the ubiquitous chain link fence and slap the color on with joy and abandon. Really enjoyed painting on this Saturday and the peace and quiet in this part of Berkeley. 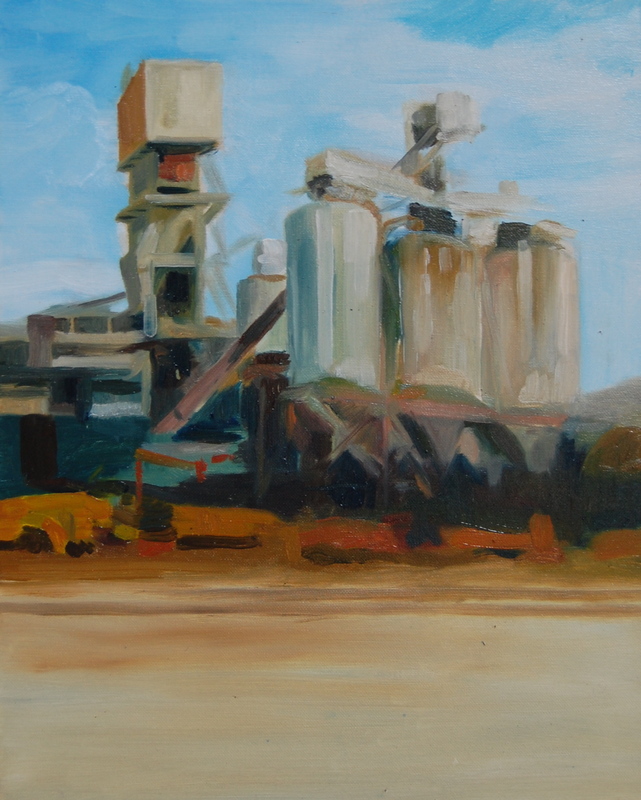 This entry was posted in Uncategorized and tagged Berkeley, Fran Osborne, landscape, oils, urban. Bookmark the permalink.